The Dogstival Festival for Dogs is a fantastic new family friendly festival for dogs and their owners that will be held in the heart of the New Forest on Saturday 18th May and Sunday 19th May 2019. Although this is not a London Dog Event it promises to be one of the big events for doggos for 2019 and is easily accessible for London dogs as you can get there in approx. 2 hours from London! The Dogstival Festival for Dogs will take place in the stunning grounds of Pylewell Park, near Lymington and be hosted by wildlife enthusiast, proud dog owner and local resident, Chris Packham. Humans & hounds will enjoy a weekend filled with exciting arena displays & entertainment, expert talks, a dedicated behavioural stage, fun dog activities to try like flyball, plus fabulous shopping and delicious food from local producers. 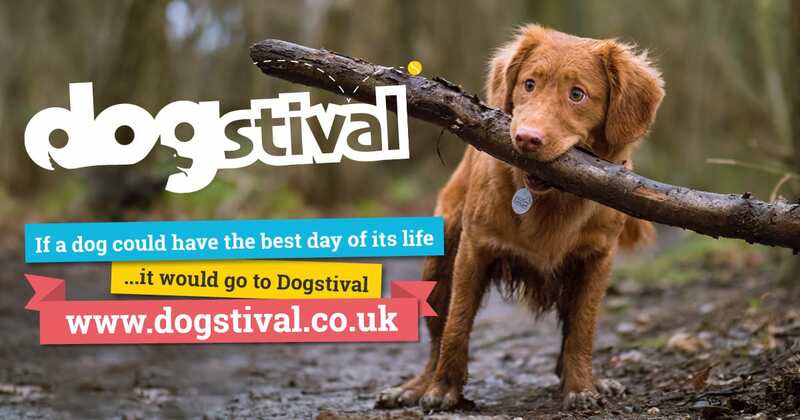 Dogstival Tickets are a very reasonable £15.44 (including booking fee) for Adults for one day or £24.40 for a weekend ticket to attend on both days. And why not make a weekend of it and explore the New Forest (as featured in our dog-friendly getaways within 2 hours from London feature). We’ve even got a guide for dog-friendly things to do in the New Forest too which your dog will love! Getting There: If you’re driving to Dogstival, parking at the event is free and the event will be signposted from all major roads. If you’re thinking of taking the train from London, then the closest station is Brockenhurst. More information on getting to Dogstival here. Don’t forget to check out the latest in the Dogstival Festival for Dogs lineup here!